Adding Glassmapper ORM: Glassmapper is an ORM to access the Sitecore items as class objects/models. Install Glassmapper to the Visual studio project by adding the Glass.Mapper.Sc from nuget package manager. 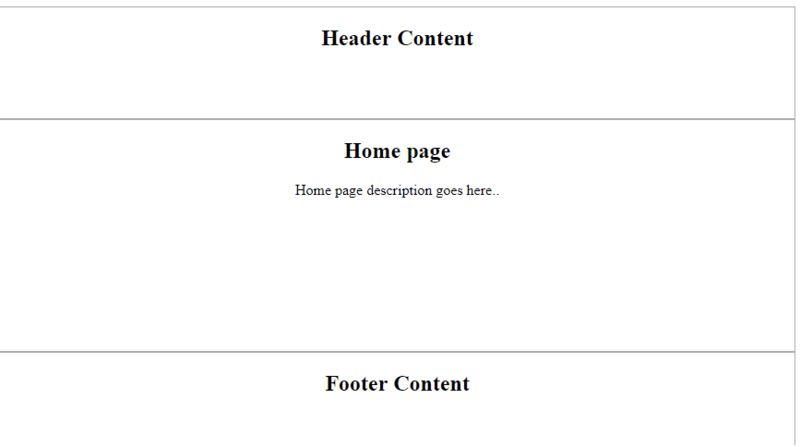 Create a layout file in visual studio. 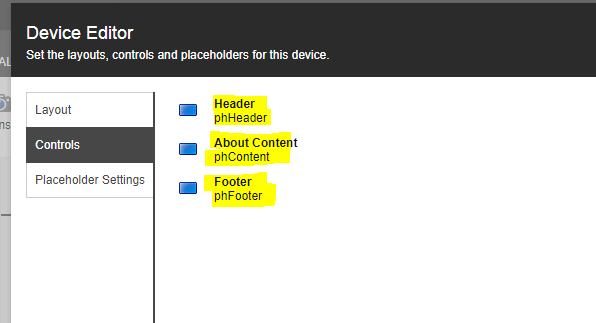 i.e., create a .cshtml file inside the Views/Shared folder with name _Layout.cshtml and with the below content. 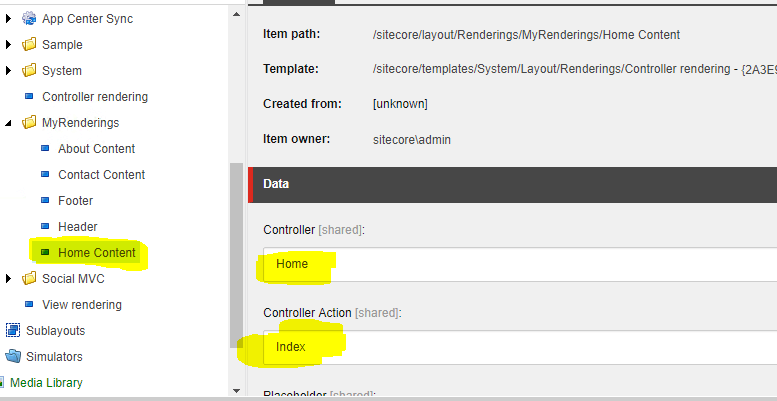 Give the Base Template as ‘Templates/System/Templates/Standard template’, which is the default value. Select the Location as ‘User Defined’. 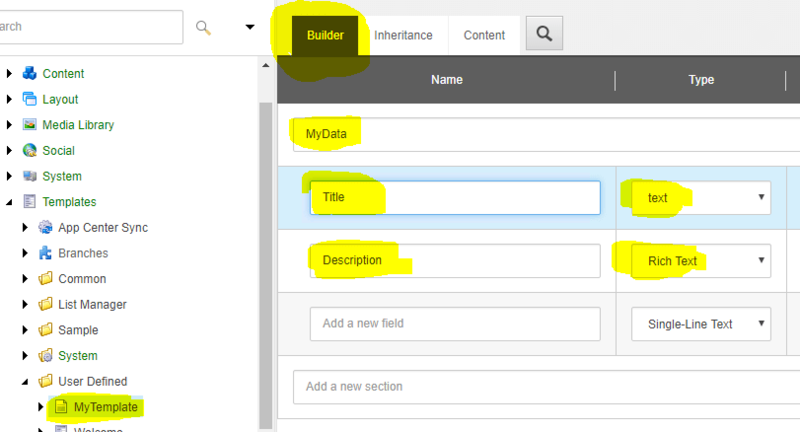 Add a section name and create two new fields as shown below. 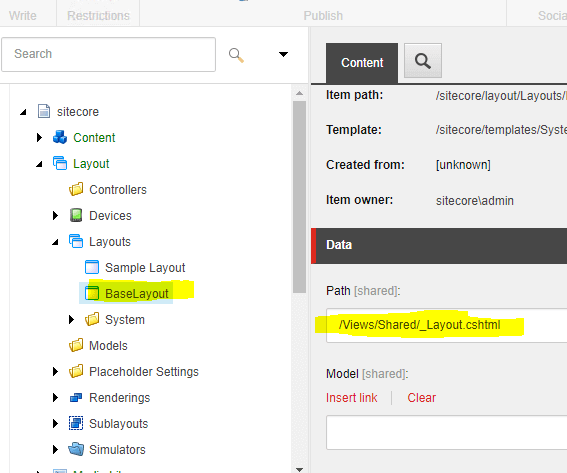 Similarly create another four Controller renderings in Sitecore by following the above steps but with different names and values as below. 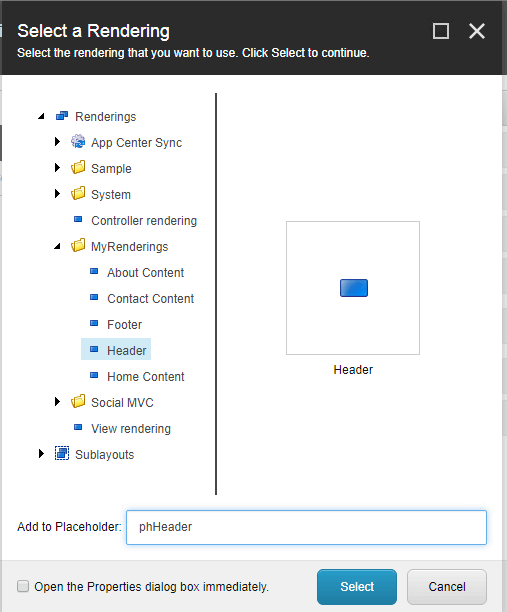 Go to the Visual studio and create a Controller ‘Home’ with below action methods. For the above created action methods, create respective views with simple content as shown below. 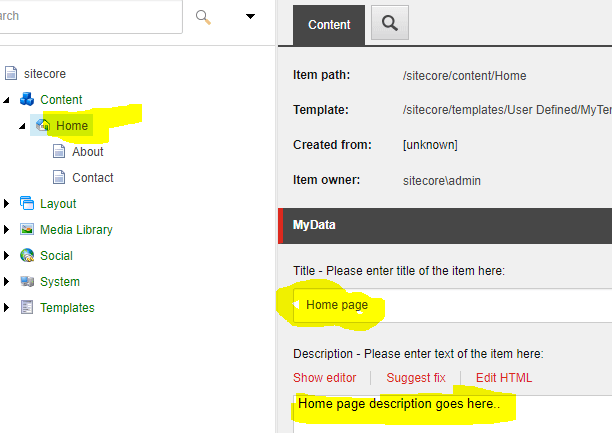 Right click on the Home item, click insert and select ‘Insert from Template’. 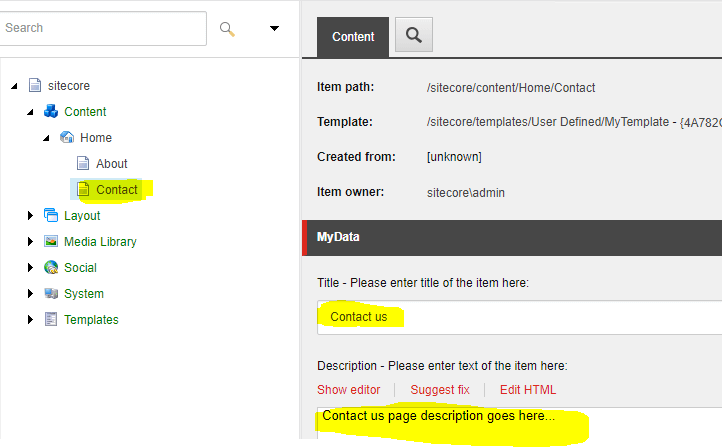 Select the Template as /User Defined/MyTemplate. Name the item as ‘About. Select the About item. Go to the Presentation tab at the top and click on ‘Details’. Edit the Default layout. 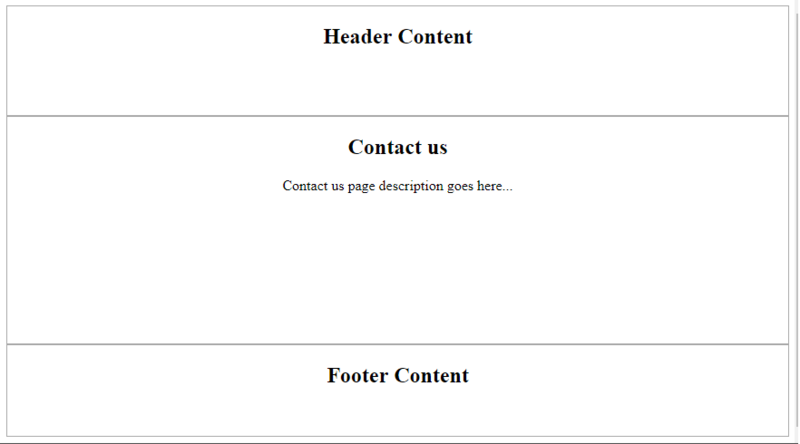 Add the layout as shown below. 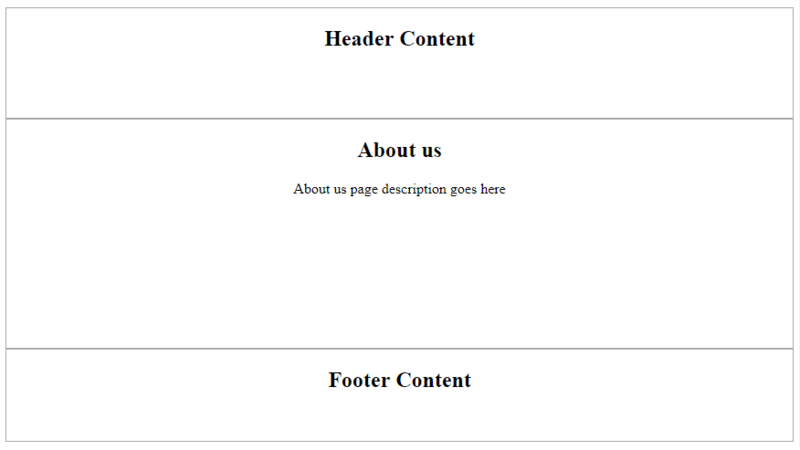 With this, we have completed the creation of About page. Similarly create another item Contact and assign the renderings respectively as shown below. 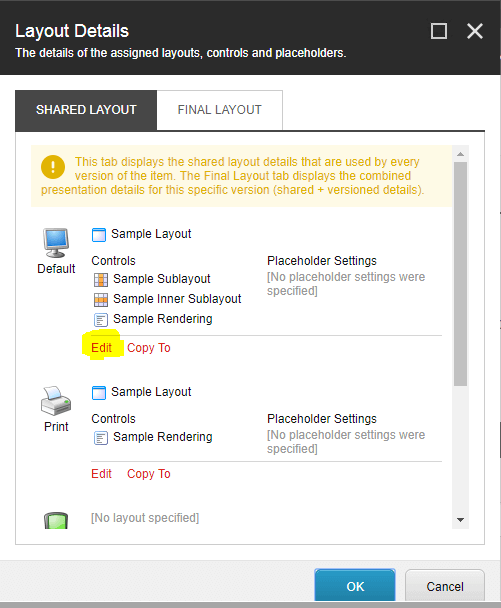 Similarly, edit the Home item’s presentation details as below.